The founder and overall mastermind behind Flag Day International, Leonard Dewberry, is a man who truly loves his country and wants to celebrate everything that’s good about it. That’s not to say he thinks his home and country are better than everyone else’s. In fact, it’s quite the opposite. The sense of pride and love he feels about his country is something he thinks everybody should have. That, in a nutshell, is the meaning behind his new brand. In launching his brand, Dewberry looks to initially celebrate Americana by way of Flag Day, July 4th, apple pie, sporting events and other dates, items, and events that bring out the best in America. He’s not stopping there, however. In his mission to inspire others to celebrate their homelands and what they stand for, he will be expanding his designs and product offering to include other countries. His cause isn’t political, but rather a recognition of the good and unique things about where we all came from. I recently had the opportunity to chat with Dewberry about his brand and overall mission. Here’s some of what he had to say. 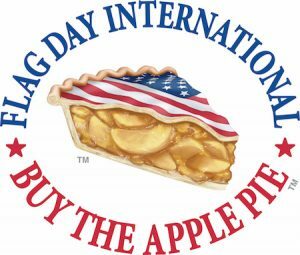 Where is Flag Day International based? If you could sum up your brand in just one or a few words, what would it be? What inspired you to start Flag Day International? I always knew I wanted to be an entrepreneur and created a company related to my hobbies of traveling and sports. I bought sports collectibles and thought about making an existing product better. I view the company as a sports team and created a logo that I could market nationwide. What do you want Flag Day International to be known for? Patriotism, pride, and winning. We will especially celebrate national holidays, patriotic events and sports championships. What inspired the artwork on your t-shirts? What is your process of working with artists? With the logo creation, I wanted to give as specific information as possible on what I was looking for. I provided sketches and pictures and then let the artist add their insights and creativity. What motivates you and those behind your brand? I wanted to create something fun, identifiable the moment you first see it and something that all people could wear regardless of their views. Are there any books, articles, blogs, etc. you would recommend to inspiring entrepreneurs and artists? Entrepreneurship magazine, Inc. magazine. , Shopify forums, attending conventions related to your product and also YouTube videos on the subject matter. Utilize your local Small Business Development Center and speak to other entrepreneurs whether their venture succeeded or failed.